We took class at Handcraft Studio School in Emeryville with Alexa of Euclid and Jayne. You don’t need much to create beautiful designs, but you do need some space for getting messy. We used pieces of wood, rubber bands, clamps, and a ladle. Yes a ladle! The final colors were a few shades lighter after I rinsed the excess dye and ran it through the washer and dryer. Check out all the lovelies made by my classmates! 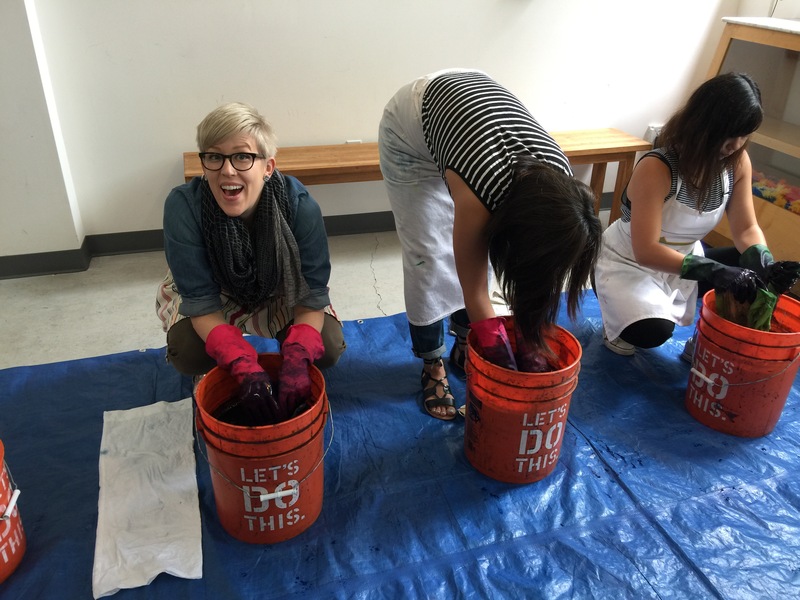 Now I want to indigo dye everything. I see blue sheets, dresses/skirts, and giftables in my future!